Herbalism is the practice of using the therapeutic properties of plants to aid our body’s natural healing processes. Medical herbalism is firmly rooted in Western medical tradition and herbalists are trained in the same diagnostic skills as orthodox doctors. 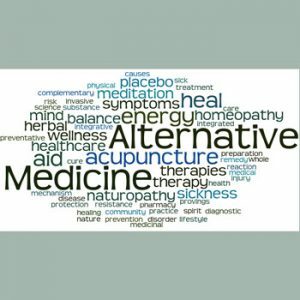 They may prescribe herbs for specific effects on the body or as support for the natural healing process. Medicinal herbs can be used at any age and for almost any condition that you would consider consulting a conventional practitioner for. There is good evidence that correction prescribed herbal remedies can address health conditions such as skin complaints, digestive disturbances, infections, headaches, anxiety, depression, respiratory infections, urogenital complaints, insomnia and more. During the first consultation your medical herbalist takes a detailed medical history, covering not only your current complaint and medications, allergies and family history but also your diet and lifestyle. Physical examination may be necessary with sometimes blood pressure, pulse and urine and blood samples taken. The medical herbalist will then make a diagnosis based on the findings and where necessary they may make referrals. A programme of herbal treatment is then discussed and agreed with the patient, including an indication of how long the treatment period may be, and the level of treatment required. An individually designed herbal prescription is then formulated and dispensed with appropriate instructions.